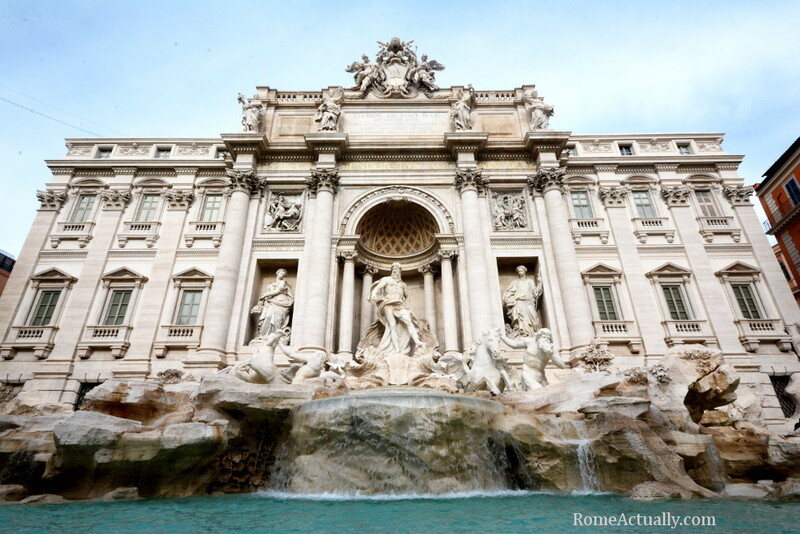 With so much to see and do in Rome, planning a trip your own can be frustrating and stressful. While it’s true that wherever you look, there is something to do, a palace to visit, a church to photograph or an ancient ruin to see, having a Rome itinerary is very helpful. More to that, booking one of the many Rome private tours available to help you dig deeper into the city’s history and art, adds to the value of your whole trip. Whether you are a new or an experienced traveler, Rome day tours can be really helpful to better understand the history of the place. On a Rome full day tour, you can discover how a building came into existence, how a tradition was born, how the city looked like centuries ago or how ancient Romans lived. 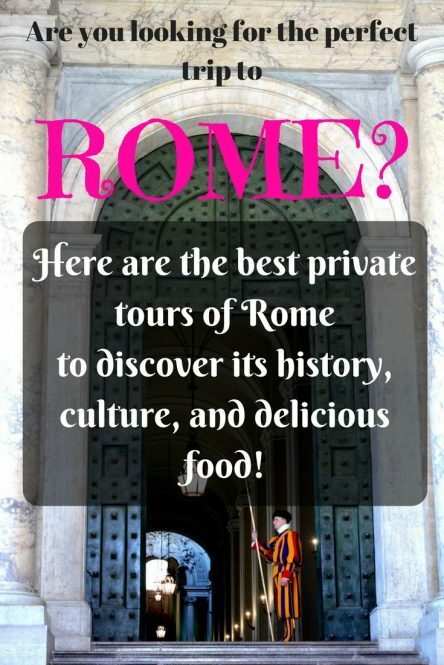 You can decide to book one of the many tours in Rome in English, either an exclusive private guide or one of the Rome group tours. Many are the options, but whatever you pick, it’s essential to book a good company to make the most out of your trip, so here we have collected some of the very best Rome private tours. If on the other hand, you prefer to delegate and leave the organization burden to the expert, you can also book a full Italy vacation package that includes Rome, too, along with other cities. More about this below. Never missing to be part of any trip, Rome walking tours are always popular among tourists from the world over. The best way to kick off your Roman holiday? With a gelato and an evening stroll around the city centre. Rome will welcome you with an intimate walk around the most popular sights such as Piazza Navona, the Pantheon, the Spanish Steps, the Trevi Fountain and obviously glimpsing at the ancient Roman ruins. Your guide will be local, so you can ask him/her some tips on how to best enjoy their city. This is a great start and one of the tours of Rome in English you will very much enjoy, but don’t stop here, there’s so much more to be discovered in the Eternal City. Do you want to delve deep into Rome’s secrets? Experience the city like a local? Explore the hidden gems mostly only locals know and discover the traditions the city keeps for its citizens. With this tour, you will also visit different areas of Rome such as the central Jewish Ghetto, you will get up the Janiculum Hill, you will see some of the ancient aqueducts and you will walk through the “Queen of all Roads”, the Appian Way. If you are the type of traveller who wants to get intimate with the places they visit and get deeper into the soul of a destination, then this tour is for you. If you are looking for a Rome full day tour, look no further. While it’s impossible to visit Rome in a day, this tour will give you a pretty good idea of the city’s history and greatness. You will see all the main Rome attractions, from the Pantheon to the Trevi Fountain to Piazza Navona, including top landmarks such as the Colosseum, the Vatican, and St. Peter’s Basilica, and enjoying a skip-the-line entrance to the last three sights. Everything will be organized, from the entrances to the private transfer so that in little less than 8 hours you will manage to do as much as possible without wasting time but also without giving up on an artisan gelato. If you want to devote the stunning St. Peter’s Basilica the time it fully deserves, we suggest you choose St. Peter’s Basilica Private Tour. Neglected in most tours for lack of time, the basilica is often visited in a rash due to the overwhelming amount of things to do in the Vatican. On this tour, however, you can experience it more in-depth. You will see the interior mosaics up close, you will climb to Michelangelo’s Dome (Cupola) and see the artist’s La Pietà sculpture. Finally, you will also go down to the crypt where most popes have been buried. For a complete Vatican City walking tour that shows the essentials, including the Vatican Museums with the Sistine Chapel and the Gardens, and St. Peter’s Basilica. You will skip all the lines to save time and in less than three hours you will learn the essentials of the Vatican palaces and artwork. Instead of focusing on the details, this tour will give you the bigger picture, and this is what makes it one of the favourites due to the huge amount of things to do in Rome and the little time many travellers have. For those of you who want to enjoy the Sistine Chapel and Michelangelo’s wonderful Universal Judgment fresco in silence and before the daily crowds, this is the right tour. Enter the Vatican Museums 30 minutes before opening hours and enjoy the Sistine Chapel before everyone else. With this tour, you will also skip the lines to the Vatican Museums and St. Peter’s Basilica, which can make you save hours, especially in the busiest seasons. If you want a full Vatican City walking tour that includes all the main sights of the Holy See, Walks of Italy’s Complete Vatican Tour is the excursion for you. This is very popular among Rome private tours as in little more than 4 hours you will have an in-depth experience of the Vatican City, and a good visit to the Sistine Chapel to admire its ceiling and walls. You will visit Raphael Rooms and the Belvedere Courtyard before passing onto St. Peter’s Basilica to stare at Michelangelo’s La Pietà and Bernini’s famous baldachin. With this tour, too, you will skip all the longest lines and save precious time that you can devote to the landmarks and the art and history their walls enshrine. No experience of Ancient Rome is complete without a visit to the Colosseum. With this Rome Colosseum Tour, you will skip the long line at the Colosseum and at the Roman Forum. Your guide will lead you through the history of the Coliseum, the tales of fights, games and executions, the engineering genius of the ancient Romans, and all this amphitheatre was used for. After the Colosseum, your Ancient Rome walking tour will carry on at the Roman Forum and Palatine Hill, known for being the birthplace of Rome. The Roman Forum is where the ancient public life took place, where they built temples and where you will see the altar of Julius Ceasar, where he was cremated after being killed in Largo Argentina, and where still today people bring fresh flowers. Walks of Italy never disappoints, their guides are always expert and passionate. You will love this Rome Colosseum tour. Little shorter than four hours, this tour will take you to the areas of the Colosseum that are usually closed to the public, the underground and the arena. Learn how gladiators lived, where they waited for the next fight, walk on the arena, the stage where so many cruel shows were performed before a pretty blood-thirsty audience. After getting close up and personal with the reality of the Colosseum, you will move onto the Roman Forum, the heart of the ancient city and where its public life happened and from where their huge empire was ruled. This is one of the most popular Rome group tours, so make sure you book well in advance, especially if you are planning a trip to Rome for the summer. A great experience is a Colosseum evening tour, to walk on the arena in silence and enjoy this popular landmark after the usual daily crowds have left. Your guide will pepper the Colosseum underground evening tour with tales of how the gladiators lived right in the place where they waited to take part in the next fight. All tales that in the darkness evoke a sense of mystery. The Colosseum and Ancient Rome tour by night is carried out in small groups and a Colosseum guard will open the gates of the arena for you so you can walk the passageway where the gladiators walked before heating up the spectators. In very high demand and incredibly fascinating, this is one of the best night tours of Rome, so make sure you book in advance if you decide to take it. Fascinated by what’s probably the most popular landmark in Rome? Wondering what the life of the gladiators was like? Check out our article on the Coliseum. I absolutely loved this tour. In some three hours, you will visit one of the lesser-known Roman catacombs, the spooky Capuchin Crypt in Via Veneto housing (and showing) and the bones of some 4000 friars, and the beautiful San Nicola in Carcere Basilica, church built on the site of an ancient Roman temple and fruit market, then turned into a prison and housing a crypt used in the 12th century to perform exorcisms. A knowledgeable guide will lead you through the history of Rome in BC time, of persecutions of Christians, and old religious rituals. If you are into spookiness, then you should take Rome Catacombs tour at night. The darkness inevitably adds to the mystery of these already obscure places. This tour will give you special access to the Catacombs of Santa Priscilla after closing time and a visit to the Capuchin Crypt and Museum. Definitely one of the best night tours of Rome. If tasting dishes and ingredients weren’t enough, now you can also learn how to make your own pizza directly from an expert. On Walks of Italy’s Rome Food Tour + Pizza-Making, the chef of a local pizzeria will show you the secrets of Italy’s most famous and exported dish while you will have a sample of other delicacies. This tour will take you to a local market where you will learn the different products depending on the season and on the region. Along the way, you will discover the ingredients used in Rome and in other Italian regions and the secrets behind many of them. During this tour, your expert local guide will also give you some tips on where to eat to find the best food in Rome. I loved this tour with Eating Italy, and I loved strolling around Testaccio to sense its working-class and traditional vibe. Even though close to the city centre and boasting important sights, tourists are seldom seen in this lovely Roman neighbourhood. With this tour, you will explore an offbeat side of Rome without getting too far from the popular areas. Your tour will kick off with some local daily life with a tour of Testaccio market, and along the way, you will stop at iconic landmarks, visit a famous food shop that sells cheese, cold cuts, and products from all over Italy, and sample some of the Italian and Roman street food and an artisan gelato, and finally taste some of the most famous pasta dishes at a local restaurant. 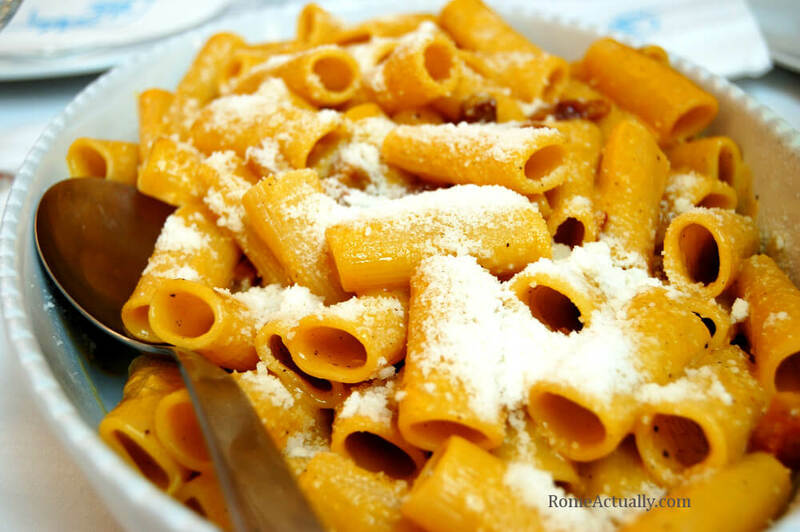 READ MORE: Check out our review of this food tour in Rome. If you are spending a couple of days in Rome, chances are you will make at least one visit to the Vatican. Being a very touristy area, around Vatican City is easy to end up in “tourist restaurants” that don’t really serve high-quality food. On your Vatican Food Tour with Eating Italy, you will sample proper Roman food and street food in the Prati neighbourhood, one of my favourite areas in Rome. Even though close to the Vatican, the Prati neighbourhood is not really popular with tourists, but here you can find nice restaurants, eateries and even gelato shops. 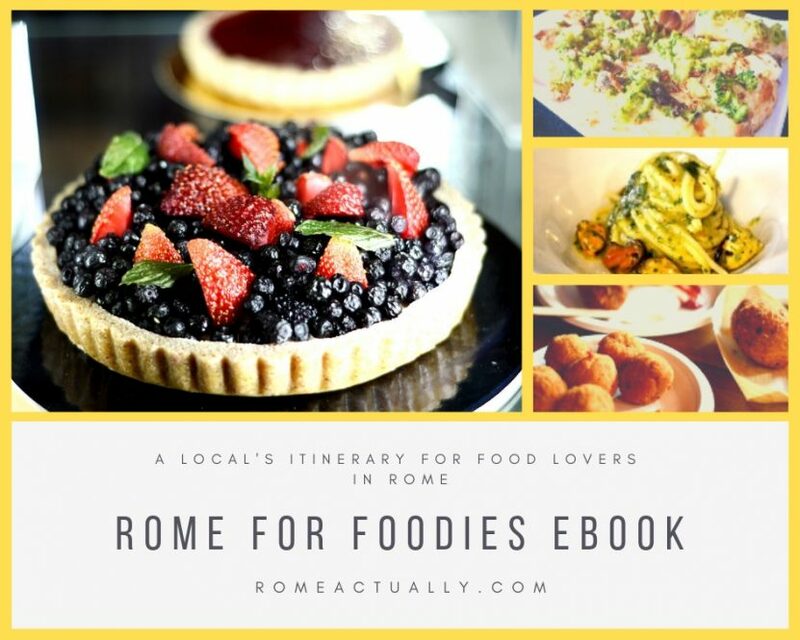 READ MORE: Find more food tours of Rome in our detailed post. Boarding on a high-speed train in Rome, you get to the Cinque Terre pretty easily so you can spend the whole day hiking along their rugged coastline, enjoying quaint small villages, sampling the delicate flavors of Liguria’s traditional cuisine. In some 14 hours, you will explore three out of five towns of the Cinque Terre on the road (Manarola, Vernazza, and Monterosso) and one from the water (Corniglia). Famous all over the world and one of the most photographed coastline in Italy, in this Cinque Terre tour from Rome you will enjoy stunning views, a fragile and fascinating natural landscape, some pretty delicious food experience sampling the local wine and pesto. A fantastic day trip from Rome is to explore the Amalfi Coast. The tour starts early morning and lasts some 14 hours, so brace yourself, you are in for a full treat. From 7 am to almost 9 pm, you will visit glamorous places like Positano, the Amalfi coast and town, a lemon farm where they produce the famous Limoncello liqueur, and briefly stopping in Salerno. On this tour from Rome in English, you will experience the stunning Amalfi Coast on the road and from the sea by boat hopping all along the coastline to enjoy a different set of views than those accessible from the road, such as its towns from the point of view that made them famous and often star in Hollywood movies. You will have the chance to lead a day of VIP life by strolling around Positano and shopping the local handicraft as well having lunch, enjoying the beach and visiting a lemon farm in Amalfi town where they make the Limoncello. When it’s nice weather and in summer days, you can swim in the Amalfi Coast’s crystal waters. Walks of Italy takes you also on a Rome to Pompeii day tour. You will explore the fantastic archaeological site of Pompeii remarkably well-preserved by the Vesuvio’s lava put an end to it in 79 AD. When I visited Pompeii I was literally in awe. Obviously, one day is not enough to visit the beautiful Campania region, but if you are really short on time, with this tour, alongside Pompeii you will also visit the Amalfi Coast and Positano. Since 2014, Pope Francis decided that the papal summer palace of Castel Gandolfo was too luxurious. Instead of spending there the hot season, he turned it into a huge museum. Today, we can visit both the Apostolic Palace and the wonderful Barberini Gardens, explore their history and learn about centuries of papal presence. To know more, read our review of Take Walks great tour to Castel Gandolfo from Rome by train. If you are planning a trip to Italy and want to visit more than just the capital without the hassle of organizing everything, we recommend the tours of G Adventures. Their Iconic Italy tour is just that, a journey through the most iconic places that made Italy a dream travel destination all over the world. You will visit wonderful cities such as Venice, Florence, the Cinque Terre, Naples, Pompeii and ending in Rome. With this tour, you will explore Italy’s iconic landmarks, you will walk through its history and you will also enjoy its dolce vita lifestyle.